Probably shown soon after her acquisition by the Navy in 1898. 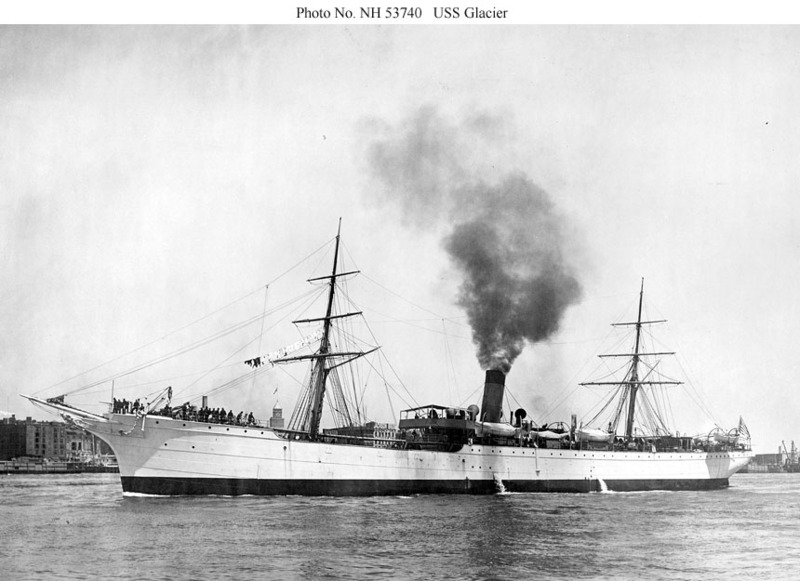 A 6-pounder gun may be visible at the extreme stern. 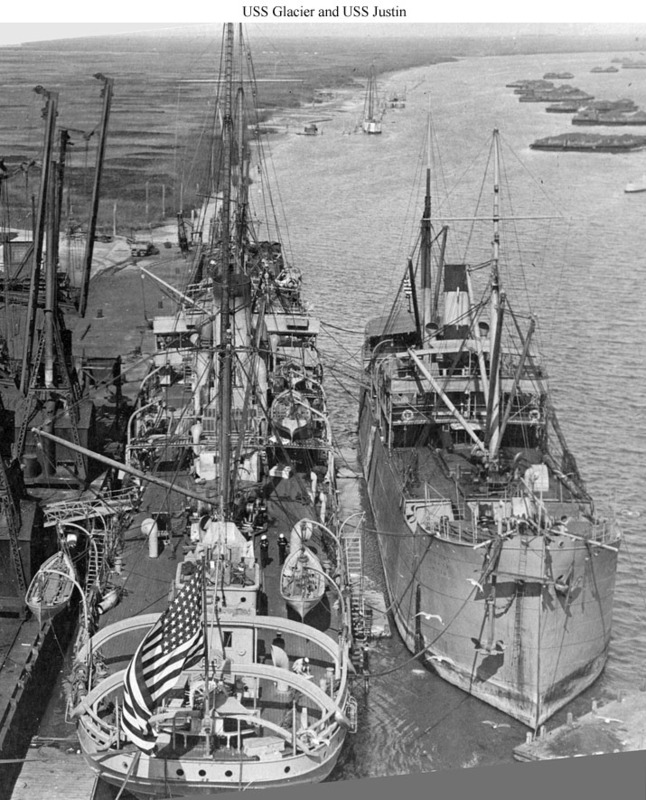 At the Norfolk Navy Yard in 1905. 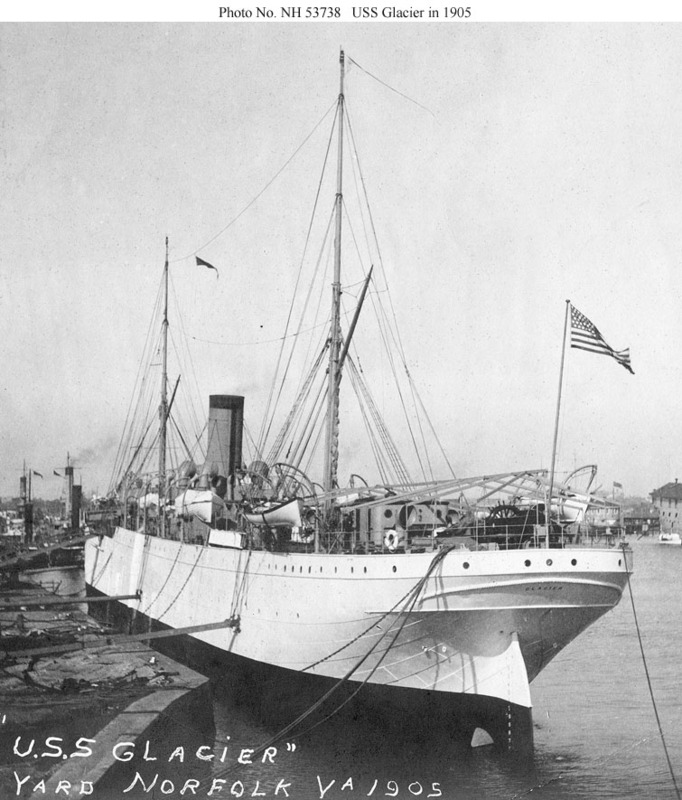 She had recommissioned at Boston on 15 September 1905 after a year of inactivity and was soon assigned to assist in towing the floating drydock Dewey from Chesapeake Bay to Manila. At the Jamestown Exposition Review on 2 May 1907. 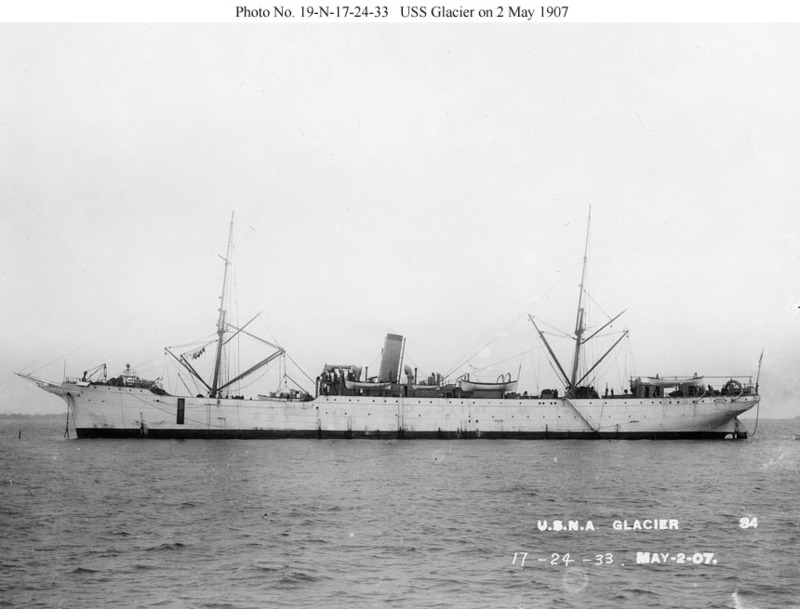 Source: U.S. National Archives, RG-19-A-1. 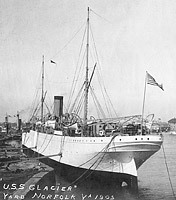 With the collier USS Justin outboard at the Mare Island Navy Yard between 1908, when Glacier first arrived on the West Coast, and 1915, when Justin was decommissioned. 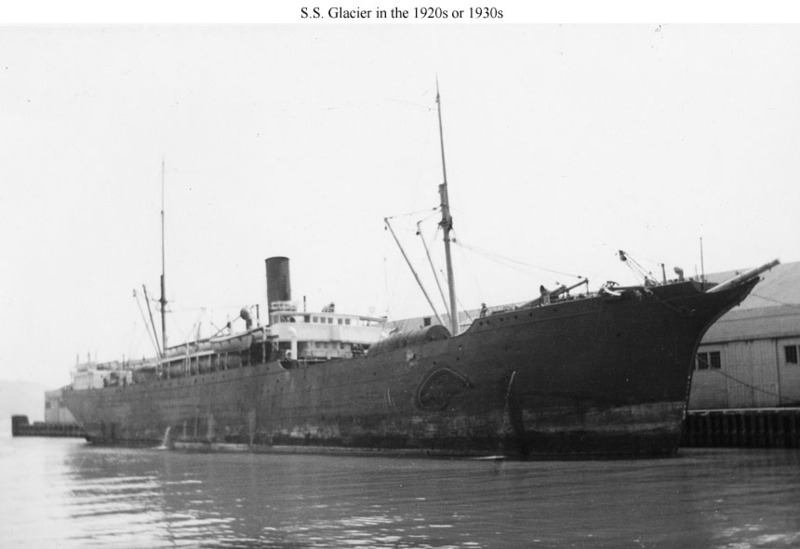 The curved beams over Glacier's fantail, which do not appear in any of the other images presented here, may be associated with towing, one of her duties in the Pacific. 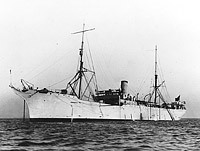 Photographed before World War I. 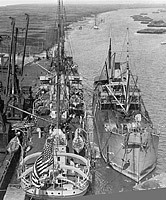 Note the various alterations since the prewar view above, including the 3" gun on the forecastle. 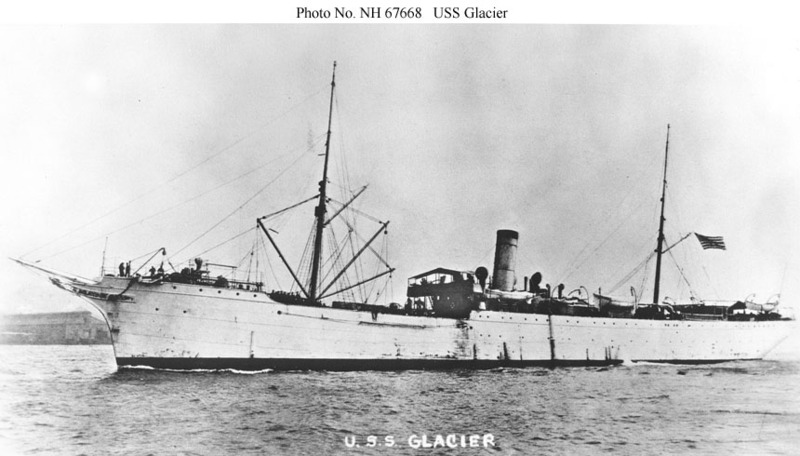 In commercial service after being sold by the Navy in 1922. She lasted until 1956.